Over the past few days, I've been going back over three years worth of blog posts and updating them, whilst doing this I came across one post in particular that caught my eye. 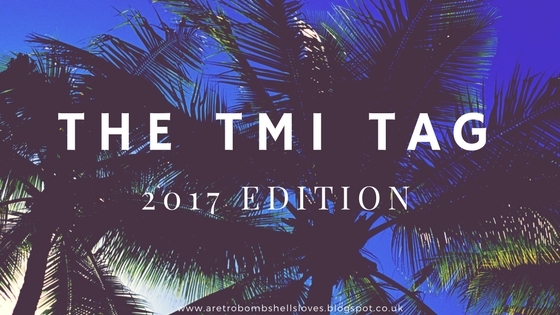 The TMI Tag, the previous TMI tag I did was in 2014 my first year of blogging and you can read that one here and if I'm honest I haven't seen a lot of Tag posts floating around the blogging world for a while. Today I've decided to resurrect my old one and give you an updated version today, I hope you enjoy it. 2.) 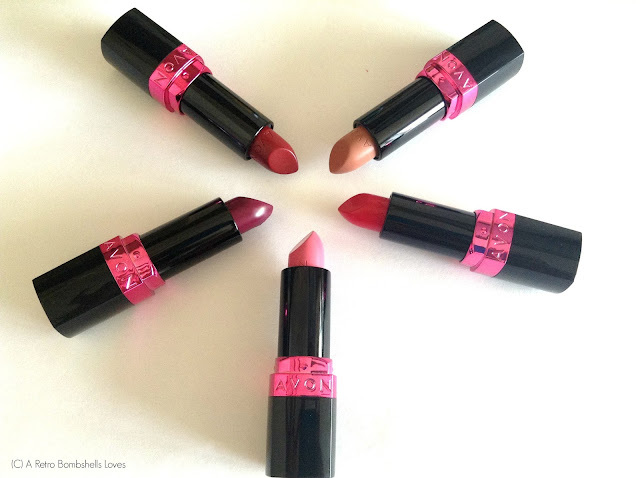 Ever been in love? Yes, I currently am with my long-term boyfriend. 3.) Ever been in a terrible breakup? I used to think it was terrible but then I found true love. 8.) OTP (One true pairing) What's your favourite fictional pairing? Miley Cyrus - Younger Now, I've been addicted to it. 13.) How old are you? 15.) Quality you look for in a partner? Jazz doesn't shy away from the hard stuff but makes you feel better about the sad stuff - Christina Grimmie. 19.) Where do you go when you are sad? 20.) Loud music or soft? 21.) How long does it take you to shower? 22.) How long does it take you to get ready in the morning? 23.) Ever been in a physical fight? 24.) The reason I joined Youtube? It's a hobby, something I enjoy doing. 26.) Last thing that made you cry? Leaving my boyfriend at the airport to come back to the UK again. 27.) Last time you said you loved someone? 28.) Meaning behind your Blogging\Youtube name? 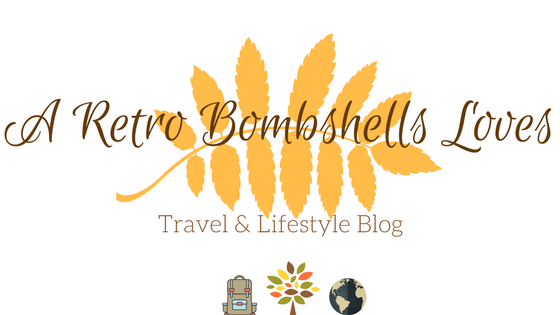 I didn't want my name in the title and I wanted something that represented me but could cover all areas of blogging. 29.) Last book you read? 30.) The book you're currently reading? 31.) The last show you watched? 32.) The last person you talked to? 33.) The relationship between you and the person you last texted? 35.) Place you want to visit? 36.) Last place you were? 37.) Do you have a crush? 38.) Last time you were insulted? 39.) Favourite flavour of sweets? 40.) What instruments do you play? If your voice counts as an instrument, then I sing a bit. 41.) Favourite piece of Jewellery? 42.) Last sport you played? 43.) Last song you played? 44.) Last time you hung out with anyone? 45.) Who should answer these questions next? 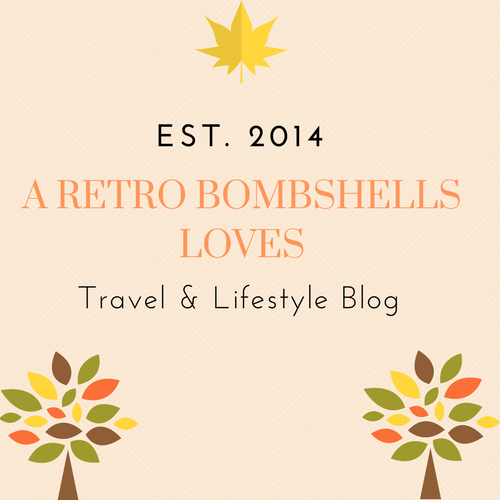 Feel free to do this on your blog and leave the links to your posts in the comments below, I'd love to check yours out.